March 28, 2014, part 1 of 2. March 28, 2014, part 2 of 2. 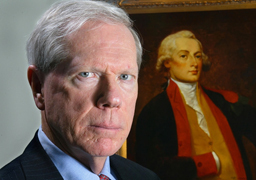 My guest in the first hour of today's show is economist Paul Craig Roberts. Dr. Roberts served as an Assistant Secretary of the Treasury in the Reagan Administration and was noted as a co-founder of Reaganomics. He has had careers in scholarship and academia, journalism, public service, and business. He is chairman of The Institute for Political Economy. Our discussion today ranges from the political situation in South America, to the impending collapse of the US dollar and the machinations towards world war behind the current harsh US rhetoric against Russia.